No clips. No glue. No weaving. No damage. And that’s flip-in hair extension, or called Halo Hair, which is attached to your head by a thin and transparent wire. Literally, it takes 1 minute to fit and 1 second to remove. 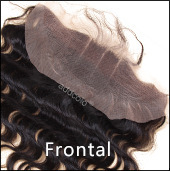 Ad made from 100% human hair, you can treat it like your own hair for hairdryers, curling tongs and straightening irons.